12 trade units at the Twenty2 Central development, 22 Polaris Place, East Tamaki, have sold, resulting in close to $7million in sales. Josh Franklin, Director – Industrial Sales & Leasing at Knight Frank, acted on the sales. Located in central East Tamaki, just three turns from Highbrook Business Park, Twenty2 Central has close access to SH1 on-ramps and backs onto Flat Bush – New Zealand's fastest growing residential catchment. “The site’s location near Flat Bush meant it would cater to owner occupiers looking to run their business near their living residence. Adding to that, buildings in East Tamaki close to Highbrook continue to be in high demand from both tenants and investors,” Franklin comments. The trade units range in size from 108-331 sqm and met a gap in the current market for units in the $400-800k range. The development site was initially purchased with the intent of building units and construction is about to begin, due for completion in May / June 2017. All 12 units were sold by Franklin within the six weeks of marketing to a range of buyers, mainly consisting of owner-occupiers looking for additional storage or distribution space, however some have been sold to investors looking to lease them upon completion of the development. 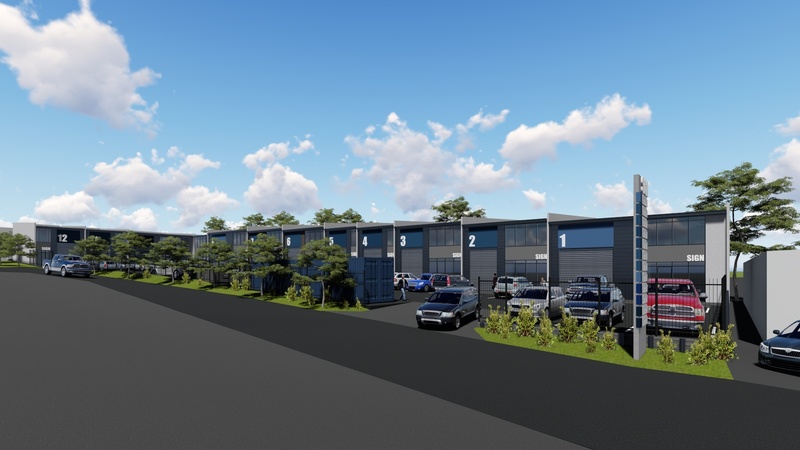 Knight Frank has also successfully sold 10 units in the new 417-421 East Tamaki Road development, ranging from 100-1,000sqm, due for completion in September 2017.